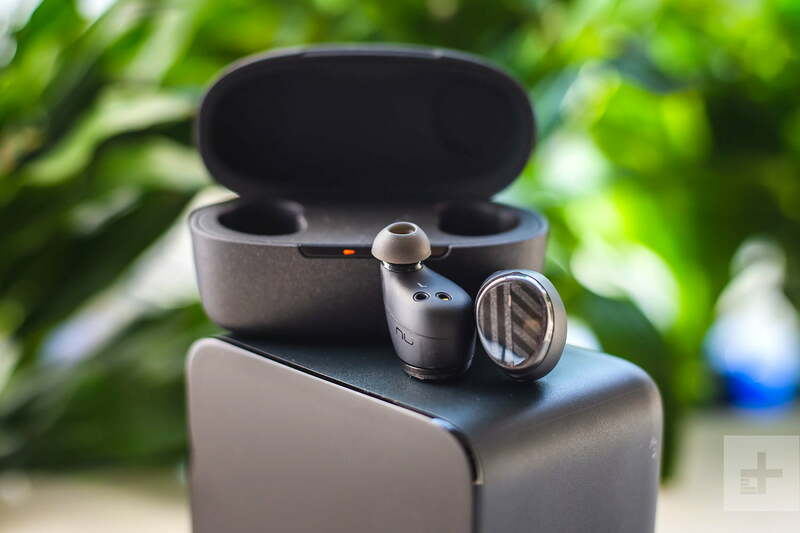 A tight grip and tighter audio make the BE Free5 worth exploring, but moving up in price will afford much more satisfaction. You shouldn’t have to pay a premium to completely cut all cords when listening to music. You also shouldn’t have to dish out extra dollars to get a pair of true wireless earbuds that sound good. 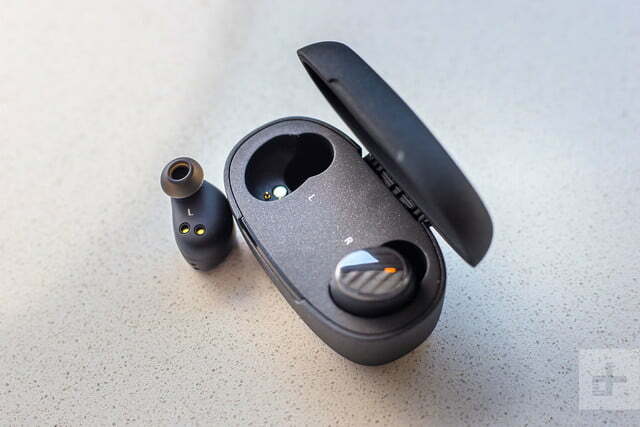 That’s the value proposition Optoma believes it can offer with its latest pair or true wireless earbuds. The NuForce BE Free5 are ambitious, though you wouldn’t know it right away just by looking at them. Cutting down the cost to well below most rivals at $100 meant cutting out some extras, and while the Be Free5 aren’t perfect, the audio performance punches above their price tag. 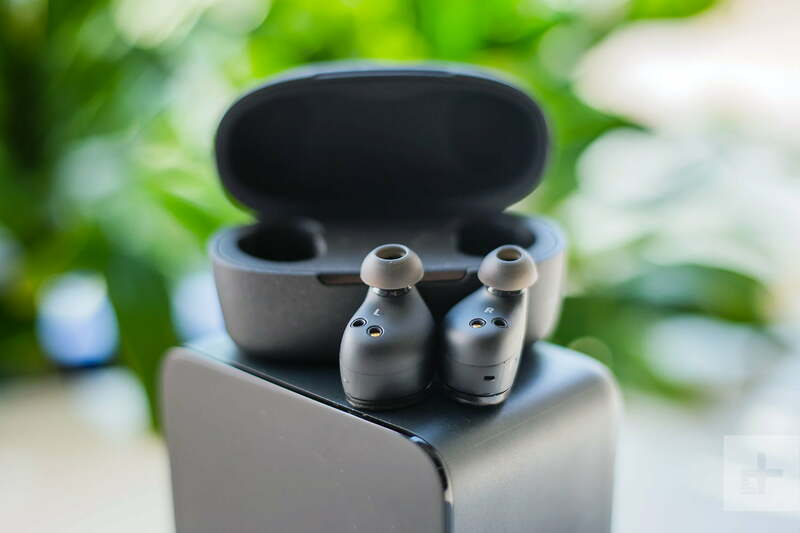 The BE Free5’s packaging is extremely similar to Optoma’s NuForce BE Free8 earbuds, offering just a few subtle differences. 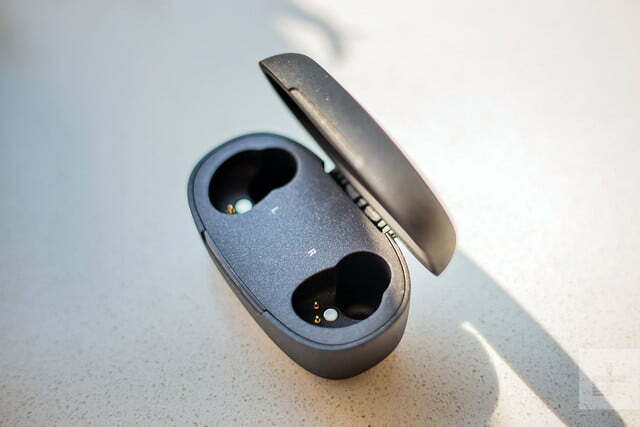 The charging case’s differing shape is the most obvious, but outside of that, Optoma included three sets of ear wings to go along with the familiar four pairs of ear gel tips in extra small, small, medium, and large sizes previously offered. The short Micro USB charging cable is the same as before. The basic manual inside pretty much spells out setup and functionality with illustrative instructions. 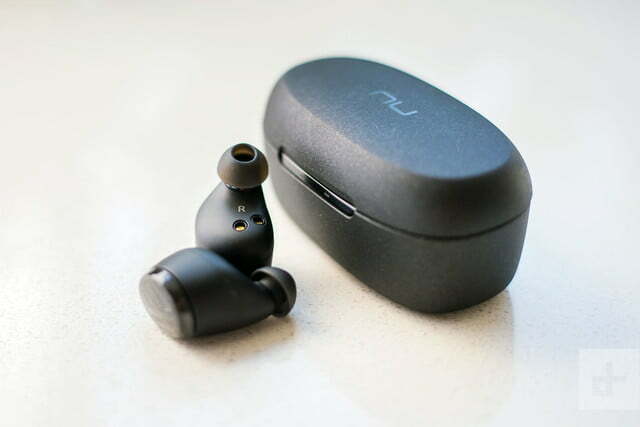 The NuForce BE Free8 were Optoma’s first attempt at true wireless earbuds, but these shouldn’t necessarily be considered successors. Being $30 cheaper, the BE Free5 are the budget buy, despite some similarities. Optoma coated the BE Free5 drivers with graphene for improved performance. So, what’s the most notable difference between them? Both pairs have the same 6mm drivers, but the coating is different. Optoma coated the BE Free5 drivers with graphene, which is something the company didn’t do with the previous model. Visually and functionally, it’s easier to notice the contrast between both units. Optoma eschewed the all-gloss finish of the BE Free8 and chose to mix it up with more brushed matte black. The outside of each BE Free5 earpiece maintains the piano black veneer, while the rest is all matte. 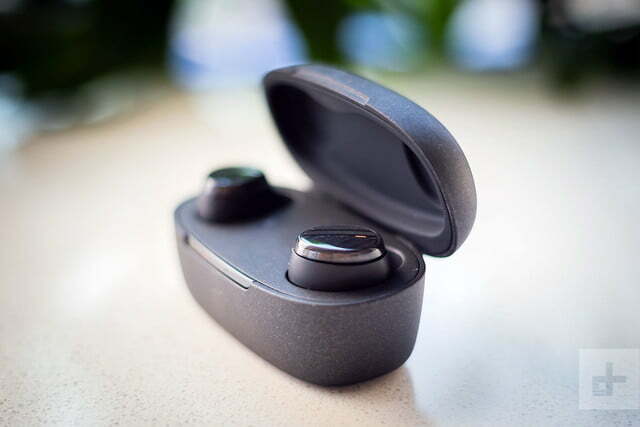 It’s a smart design choice as it reduces fingerprint smudges and makes the earbuds easier to handle. The same goes for the charging case. 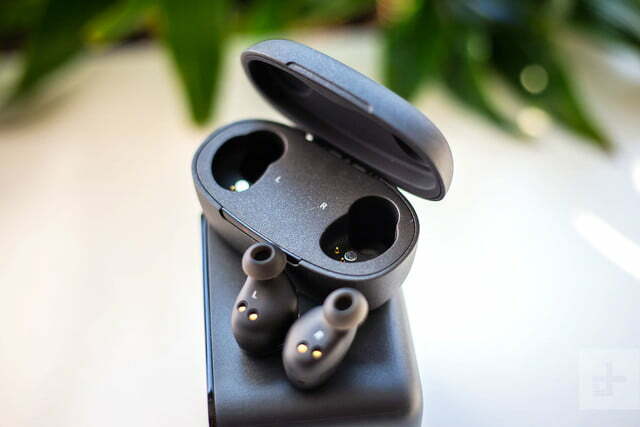 The BE Free8 had a glossy case to match the earbuds, whereas this one is all matte. They have differing form factors but are otherwise a similar size and weight. In all of this, Optoma has used the same plastic, which is not exactly premium and feels slightly flimsy. Yet, the earbuds feel rigid in spite of their lightweight frames. 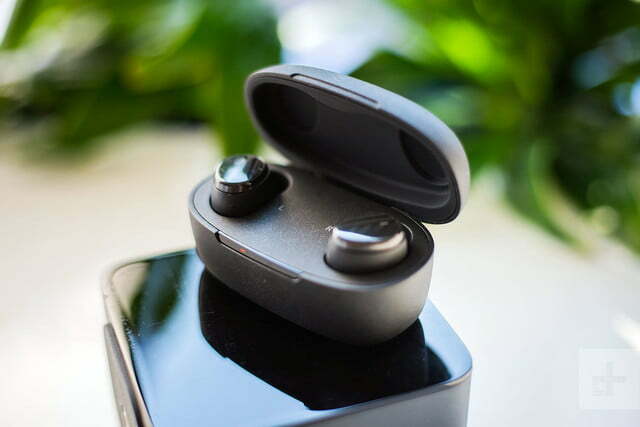 As with most true wireless earbuds, the side of each earbud functions as a controller, with similar features. A simple press on either side plays or pauses music. Holding the left for two seconds lowers volume; doing it on the right raises it. A double-click skips a track, while the right side can answer or end phone calls. Holding the right for two seconds triggers Siri or Google Assistant, depending on which device you’re paired with. As before, there’s no way to repeat a track. 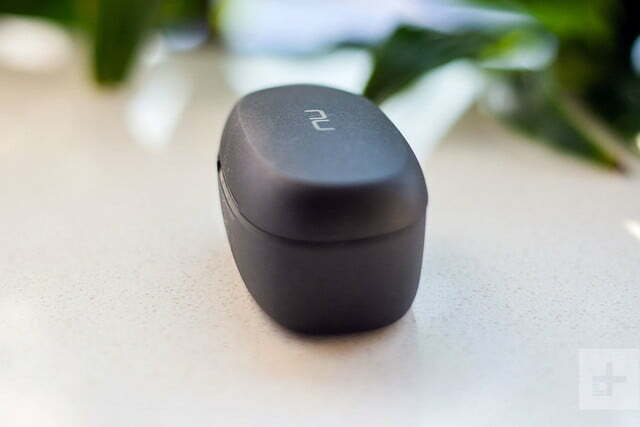 You get the same audio quality or better on a pair of true wireless earbuds that cost less. 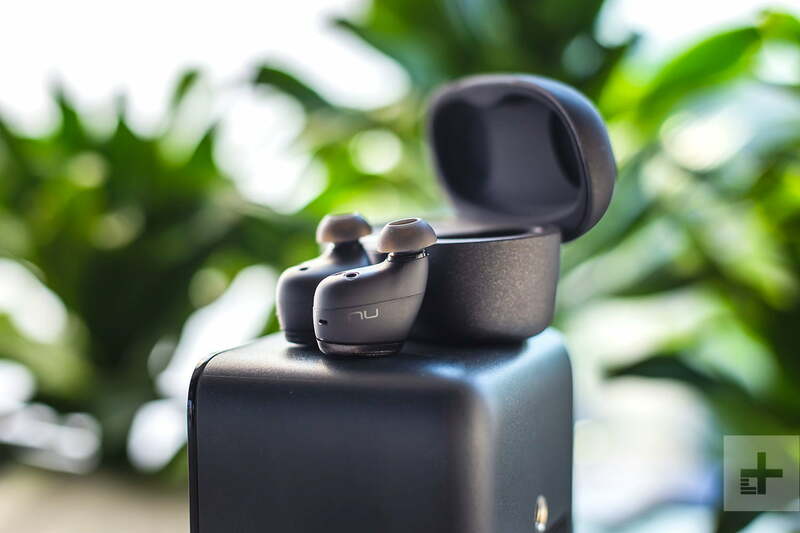 The BE Free5 work with both AAC and aptX Bluetooth audio codecs, ensuring that iOS and Android users don’t get shafted on fidelity. Even with that, the fit becomes central to how good they will sound. Having four sets of ear gels helps spread out the options, though Optoma’s SpinFit tips are a little on the shallower side. The idea is to keep them in place by nestling them deeper into the ear canal, but we found more success with the larger tips. We also tried Comply Foam tips and achieved excellent noise isolation with them. Battery life is similar to the BE Free8, rated at four hours of playtime per charge, with three extra charges in the case for a total of 16 hours of playback time. We didn’t quite get four hours — more like three hours and change, but that will also depend on how loudly you listen. New here is the quick charging, providing 60 minutes of playback on only 15 minutes of charging. If you are carrying around USB-C to charge everything else, be prepared to bring another cable to keep these earbuds going, as they still use MicroUSB. We would have liked to see Optoma go with USB-C but we also weren’t surprised. Cutting a few corners does help lower the price point. Given many of the same key components were used, we were curious as to whether we could discern any audible difference between the BE Free5 and the Free8 that came before them. They are, in many respects, solid performers for the bargain price. Optoma played it safe again by going with a sound signature that doesn’t veer or fall off the rails. Highs and mids are warm enough to balance well with the tonality of the bass. Indeed, we dare say the BE Free5 may sound more consistent than their more expensive brethren. The drivers are the same, so neither is more powerful or dynamic than the other, but the solid performance of the BE Free5 stood out. To test this further, we tried a mix of the same tracks we used when reviewing the BE Free8. Tracks like, November Rain by Guns’n’Roses, The Look of Love by Diana Krall and Lalah Hathaway’s Live! album all came through nicely. Not dramatically so, mind you, but enough to note that we were getting essentially the same quality or better on a pair of earbuds that cost less. The key to making this happen was finding the right seal. We made use of Comply Foam tips to help with that. Optoma’s own ear gels were okay, though we would have liked a bigger size. As long as we found a tighter fit with one tip or another, we were good. They also were good at staying put in our ears. The left earbud dropped its connection too often for our taste. We can’t quite say the same for controlling playback. When trying to hold for two seconds to control volume, we sometimes held for longer and turned off one earbud. Other times we held for too short a time and paused the music instead. The rigidity of the buttons also meant that pressing harder shifted the position in the ear. Knowing the right pressure and cadence to manage the controls took time, but the whole thing was more of a nuisance than what we expect from earbuds in this category. We also experienced the left earbud dropping its connection. It quickly reestablished itself, but it would happen randomly and too often for our tastes. If Optoma can fix that with a firmware update, we’d be all for that. It’s one advantage the BE Free8 has, only because it didn’t happen as often. We found call quality to be relatively good. Callers knew we were using some sort of headset and we found ourselves raising the volume for most calls. We had better clarity when using WhatsApp or FaceTime to make audio calls, so the BE Free5 could be a decent hands-free option. 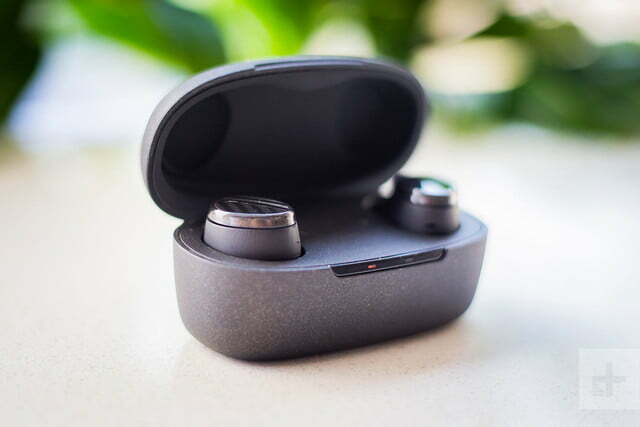 Finding true wireless earbuds at $100 isn’t so much an anomaly anymore as more challengers looking to cut the bottom line arise. What Optoma has done is put together a pair that competes with more expensive models. They are better designed than many competitors, leave fewer fingerprints, and don’t skimp out too much on the points that matter. However, the same caveats do apply. 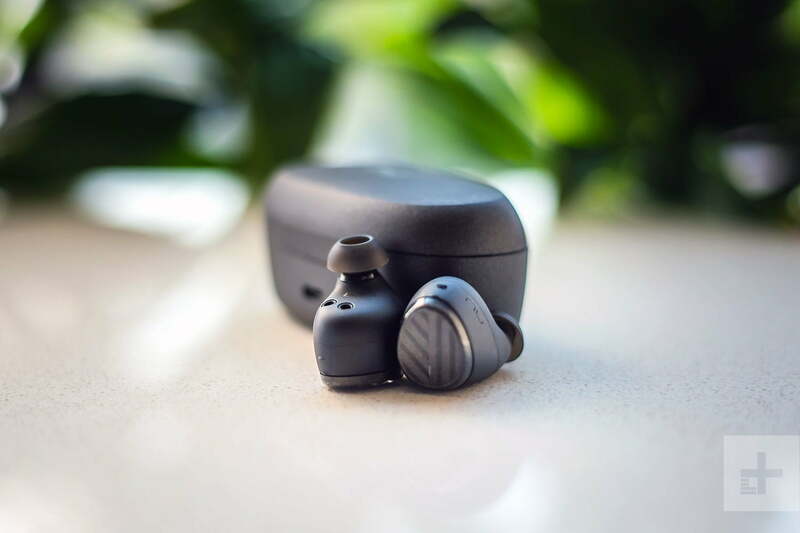 Find the right fit and seal, and the audio quality rewards you with pretty balanced and decent sound that’s free of all wires. That the BE Free5 support AAC and aptX means there’s no favoritism toward iOS or Android users. Either one will fit right in. Optoma doesn’t play up these earbuds as being perfect for a sweaty run or workout, but the matte finish does make it easier to handle them under those circumstances. Apple’s AirPods ($159) are the de facto standard, and not just due to the brand involved. They work extremely well and virtually never incur dropouts, though the audio chops are debatable, depending on who you ask. The Jabra Elite 65t are just $10 more, and we far prefer their sound and style, while the Elite Active 65t offer better functionality for exercise junkies at $190. All of these are pricier than the BeFree5, but you do get what you pay for in this category. The BE Free5 are no more or less resistant to sweat than the BE Free8 is, so we don’t foresee any real change on that front. 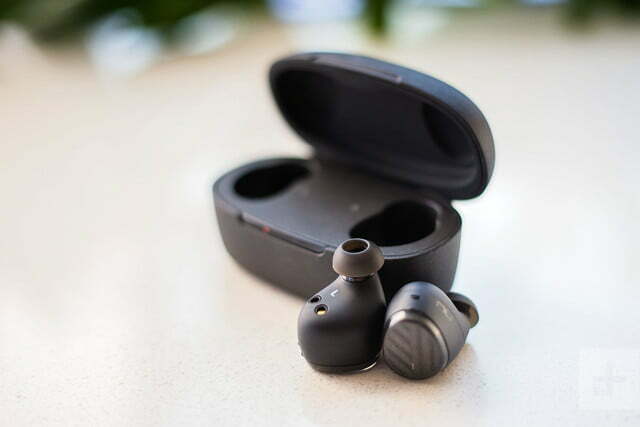 These earbuds should be able to handle active lifestyles pretty well, with the matte finish better suited to handling with slippery fingers. The left side dropouts could be more numerous if you keep moving the paired phone around, but there’s also an unpredictable side to them. You can never tell when or if something will interfere with the signal. Probably not. In this still-emerging market, we always suggest you pay a bit more to get something that will satisfy – and more importantly, won’t annoy. 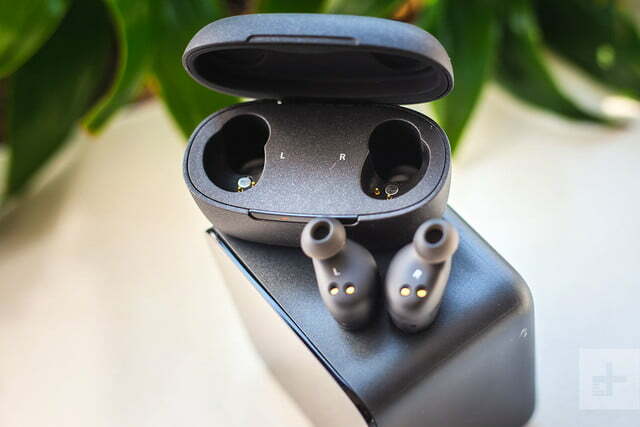 Jumping up to the AirPods-level price point opens up much better options, and when it comes to style, performance, and reliability we always recommend the Jabra Elite 65t or its Active sibling. That said, if $100 is your high-water mark, the BE Free5 do offer solid sound for the money, and you could do a lot worse.